If the new wave batch of musicians produced some great songs in music history, these two songs from Tears for Fears would make it to the list; progressively scathing in content, simply beautiful musically. Roland Orzabal is very much like John Lennon in Sowing the Seeds of Love in terms of song structure and phrasing blending both All You Need Is Love and Happiness Is A Warm Gun. This next performance of the song brings Sting and Paul Simon together. Somebody opened one early post The Closest Thing To Crazy, which remains my favorite song from Katie’s catalog, which reminded me of her. Whatever happened to her lately and got this news feature from David Lister of The Independent. The last time I met Katie Melua was at her 21st birthday party. It was an evening that spoke volumes about the music industry. The fledgling singer songwriter, not that long out of the Brit School for the Performing Arts, would have known few of the invited guests, including myself, as her 21st at the now sadly gone Hammersmith Palais in London doubled as an album launch. 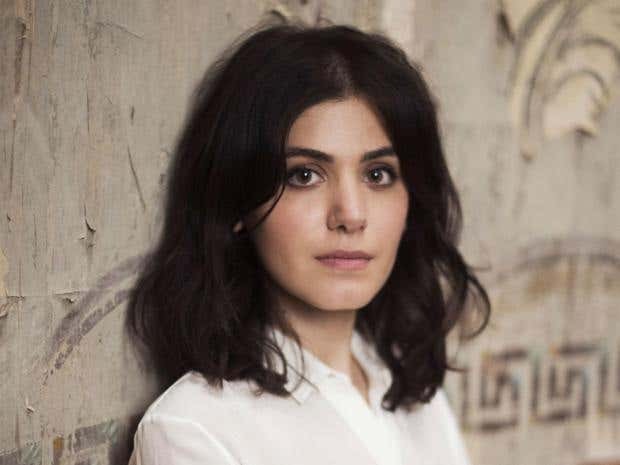 “It was a bit of a nightmare at the time, but I did also have my family and friends there, and looking back I am proud of it,” recalls the now 32-year-old Melua, older, wiser, happier and with 11 million album sales, huge selling singles “The Closest Thing to Crazy” and “Nine Million Bicycles” under her belt. Along the way she has sold out arenas with her beguiling and soulful emotive pop, and disarmingly open personality allied to a distinctive dark-eyed beauty derived from her Georgian background. She has also married in Kew Gardens the former World Superbike champion James Toseland, who brought his mother to see one of her concerts and later met her. She sang just the other week at Terry Wogan’s memorial service at Westminster Abbey. Wogan was the first to champion her on radio and one of the few broadcasters with the power to ignore the playlist which she couldn’t get on. “He kick-started everything,” she recalls. Also, along the way, she has sung twice for the Queen, once in public at the Royal Variety Performance and once at Buckingham Palace at a private dinner (“The Queen said to me: ‘You’re the only one of our guests that has to sing for her supper’.”). And there have been bad times. In 2010 to the shock of fans and friends alike, she had a breakdown, which hospitalised her. She is prepared to talk about it now, saying: “It was one of the best things that ever happened to me. It was petrifying, but it put a stop to fantasies of being able to do anything. The oddest thing about this job is the sense of superiority you get. It was a huge wake-up call. “I was completely out of it for two weeks, and in hospital for six. There was a bunch of things going on, things at home and crazy work schedules, and you really believe the world revolved around you and it doesn’t. Ah, yes the choir. They are the Gori Women’s Choir from Melua’s original homeland of Georgia (her parents, her father a heart specialist, brought her to the West when she was nine). The choir is particularly pertinent now, and not just for their lack of ego. 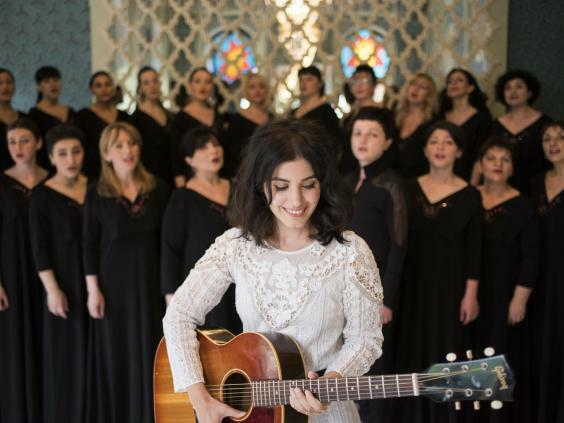 The choir features on Katie Melua’s remarkable new album In Winter. She returned to her Georgian homeland and went to the mountains where the Gori choir rehearses each September in fairly basic conditions (“The bathrooms didn’t really work,” says Melua), then used them on the album to memorable effect. Indeed, Georgia’s tradition of polyphonic singing is included on Unesco’s list of intangible cultural assets. Melua describes her new album, with songs ranging from Georgian folk songs to Ukrainian carols, a Joni Mitchell number to an extract from Rachmaninov’s “Vespers”, as “leftfield”. One can’t argue with that, though I would add that it is actually quite exquisite, her most mature work yet. She made a DIY studio in the small town of Gori’s cultural community centre and that is where the album was recorded. As well as the choir (who will be joining her on her upcoming European tour), the album is notable for two tracks in tribute to her 84-year-old grandfather, whom she visited while she was making the album. He was sent to Siberia when he was 19 in the last days of Stalin, for being a “bandit”. In fact he had provided an alibi for two friends who had stolen bread from a shop. After he returned from Siberia, he studied for culinary degrees and became one of the best chefs in Tbilisi. We move on to rather more benevolent icon, Bob Dylan, who is Melua’s current obsession, studiously going through his entire oeuvre, album by album. She is still very much a student of music and for reasons as much to do with education as passion. Perhaps the joy of discovery and learning is enhanced now that Melua is very much on her own and forging a new direction without the aid of her mentor, producer and sometimes songwriter Mike Batt. He, of Wombles fame, (though really that label should have long ago been replaced by “prolifically successful songwriter and producer”) signed Melua after seeing her in a showcase at the Brit School and bonding with her over a shared love of the late singer/ songwriter Eva Cassidy. He wrote her first massive hit “The Closest Thing To Crazy” and contracted her for a six album deal. With the ending of that deal, Melua decided it was time to go her own way. It’s clear that it wasn’t an easy parting, and that Batt was far from happy to lose his protegee, doubtless telling her so in no uncertain times. Which was a very accurate, critical analysis.